For personalized signed copies of my books order from Texas Star Trading Co. and give your dedication details in the Gift Message box. Or contact them by email right after you place your order to provide details. The email address for Texas Star Trading Co. is texasstartradingco@sbcglobal.net. If you’d rather call, their phone number is (325) 672-9696. 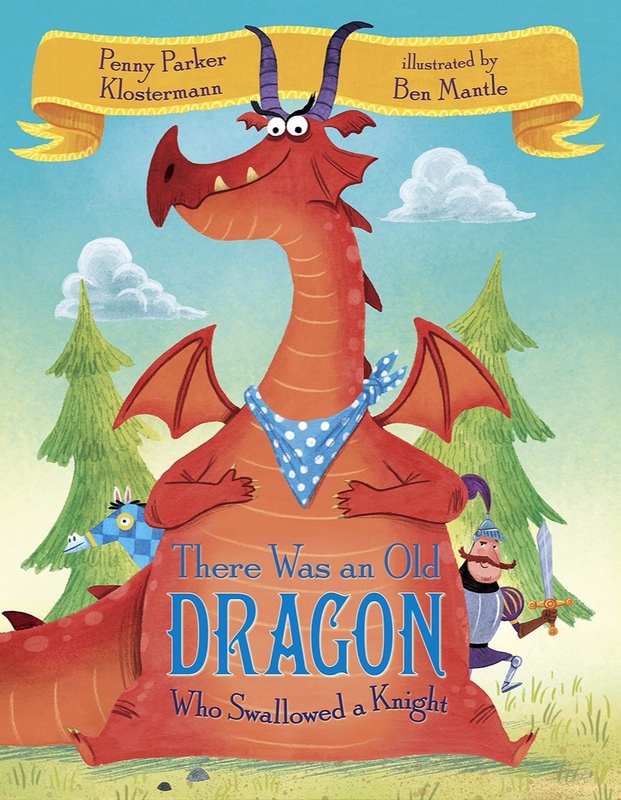 My debut picture book THERE WAS AN OLD DRAGON WHO SWALLOWED A KNIGHT was released August 4, 2015 from Random House Books for Young Readers. THERE WAS AN OLD DRAGON WHO SWALLOWED A KNIGHT is one of fifteen books on the list for the Sunshine State Young Readers Award Jr. This program is for students in grades K-2 in the state of Florida to vote on their favorite picture book or early chapter book. SSYRA JR. voting dates for 2016 are Monday, February 29-Friday, April 15. My book has also been named to the Top Ten Best in Rhyme Award 2015. Praise for THERE WAS AN OLD DRAGON WHO SWALLOWED A KNIGHT. No matter how many swallowed-fly titles you own, this one belongs on your shelf too. The author has used a broad range of words—savory, shady, fattens, tassel, guzzled, bloat, quote, perchance, amass, and billow. These will add depth to the young listener’s vocabulary. In this fairy tale mash-up, a well-meaning chef accidentally cooks with ingredients essential to famous stories (Snow White’s apples, Jack’s magic beans, Cinderella’s pumpkin).